When Solaris said goodbye to Tristan, they thought it was over forever. But six years later, he walks back into her life. His decision to reunite brings trouble so big it ripples through both their lives with devastating effect. Solaris must come home. But California is deadly too. Everyone has secrets. The key is the HeartStone, a priceless ruby necklace with a story to tell—a story both beautiful and damning, a tale of love and betrayal, of corruption and murder. Solaris held it in her hand, just once. That moment changed everything. Meet Joshua Archer. Born with a gift of precognition, dreams of danger send him across America to save Solaris. It is his duty as an Archer to protect the innocent. But he battles a code of honor and a fiery attraction when he meets the beautiful photojournalist. Joshua never expected to find a woman like Solaris. She is goodness and grace, the finest parts of life, a woman who sees beauty in the world. But someone wants her dead.Love must be stronger than fear to survive. But Solaris is not alone. Someone is watching. If we are lucky life sends us One True Friend. This is the dramatic tale of that courageous friendship. What would you do to protect someone you love? 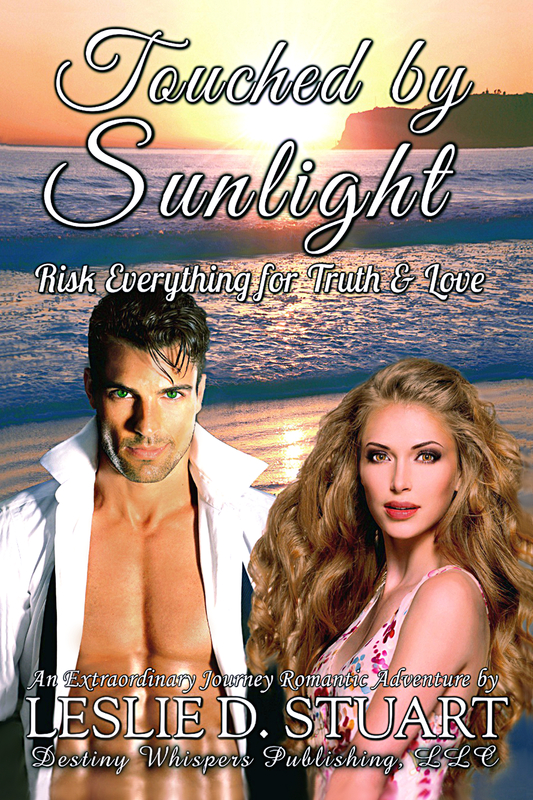 Touched By Sunlight is a fast-paced adventure with charismatic characters you will fall in love with, a story to spark a fire and touch your heart. It reads like a movie with a constant flow of action laced with emotional depth to make the journey unforgettable. Every page pulls you deeper into the mystery. Who wants to kill Solaris? And why? Tristan’s life had not gone as expected. He was all alone on a one-man crusade for truth, had successfully alienated himself from higher society through his television show, and saw no end to his loneliness. He missed the days when he had one true friend that he trusted and loved, a woman who cared about him too. Regret tasted bitter, difficult to dismiss. Waiting at the bar of the popular dance club near her apartment, he felt impatient. Half swiveled in his seat to watch the entrance, he slugged down another shot of tequila. The fiery liquid had become his friend too often in recent months. Tristan needed a better friend. He had a good friend once. Most people were lucky if life gave them one true trustworthy friend. Like an arrogant fool, he walked away from his. Tonight was his second chance. Solaris Sullivan had just arrived. Look for her special romance novels in all major bookstores and ebook sellers worldwide. ← HOT NEW RELEASE BY AWARD WINNING AUTHORS INTO THE FLAMES !!! GET IT NOW JUST RELEASED!! !